Designed for EXPERIENCED Skimo athletes who do have access to snow every day to prepare for a skimo race. 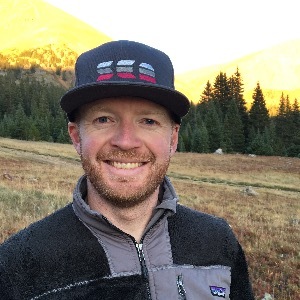 Hand-crafted by USSMA National Team Head Coach Joe Howdyshell, MS, this plan encapsulates his passion for the sport and his nation-leading knowledge of skimo coaching. The plan provides an 8-week structured and periodized training schedule averaging 12 hours per week in order to maximize your performance on race day. Each week contains intervals, strength, transition training, and a long weekend workout. Prior to using this plan, you should be able to skin in steep backcountry terrain for 2 hours (without feeling like you're going to die). Purchase of this plan includes our comprehensive Skimo Training Guide, which explains how to use your training plan plus email access to Coach Joe at any time for questions that you may have about this plan, videos explanations of strength exercises, and Badass Coaching style motivation. **Warning: Plan notes contain profanity. Why? Because we f*&ing love it. 5m L1/2 ending at the bottom of a good interval climb. Cooldown to complete prescribed time. Take time in front of the TV, or with friends, and practice ten ski to skin transitions. This should be as specific as possible with your race gear, including pants and pack. As much vert as possible in L2/3 in the prescribed time. As little vert as possible in L1/2. Focus on gliding out on each ski. Take time in front of the TV, or with friends, and practice ten skin to boot transitions. This should be as specific as possible with your race gear, including pants and pack. *make sure you set your shoulders back/good posture during the whole movement. 1:00m plank "around the world"
*maintain plank while lifting right hand slowly, replace, lift left hand, replace, left foot, etc. Hi I'm Joe! I provide consultation, training plans, and one-on-one coaching for all levels of goal oriented endurance athletes. With a diverse athletic history and a masters degree in exercise physiology, I can help you reach your potential in mountain running, ski mountaineering racing, mountain biking, road cycling, or nordic skiing. Contact me for a free consultation!